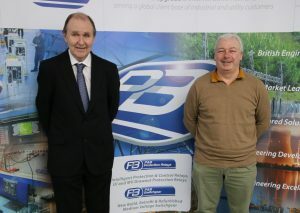 P&B is pleased to announce the appointment of Paul Crawford as Sales Manager and Andy Montague as Tendering Manager at its Switchgear division. In addition, these have also been assessed for conformity by the Energy Network Association. If you are currently operating with old legacy oil fill or air break circuit breakers and are looking to extend the life of your MV Switchgear by up to 30 years – please contact Paul to discuss your requirements – he will be delighted to help!